Derived from the original, award-winning Sativa, Nebula, this medical variety was created for its medicinal benefits rather than strong psychoactive effects. 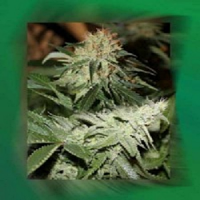 Nebula II CBD Feminized Marijuana Seeds by Paradise Seeds: Derived from the original, award-winning Sativa, Nebula, this medical variety was created for its medicinal benefits rather than strong psychoactive effects. 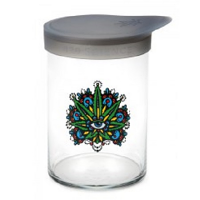 Higher cannabidiol (CBD) content does not influence the resin output. With an average of 7% CBD and a THC of 6%, Nebula II CBD is a well-balanced medical strain which patients will find provides a multitude of benefits: anti-convulsion, anti-inflammatory, anti–nausea and anxiety reducing effects, it also provides very effective relief for many types of pain. Due to the strain's inherent Sativa dominance, Nebula II CBD typically grows into plants with side branches and a main stem cola with large fragrant buds very similar to the classic THC-rich Nebula. 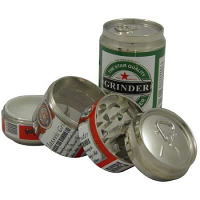 This is also true for the resin output; young buds are coated in resin almost from the outset. 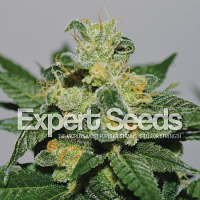 Plants are finished in a relatively short period of time (60 days) with a surprisingly good yield of over 30 grams of dried buds on average per plant. With plant heights of 55 to 60cm and a week of vegetative growth, this strain is a great choice for medical users. You can expect a pleasant, relaxing and well balanced effect without a head-melting high. Enjoy the fruits of Paradise Seeds.